Overall, my time at RCA has helped me grow as a person since grade 4. I was a B student at my old school, but RoyalCrest Academy has brought out something in me that has allowed me to develop intellectually and socially.For the past five years, I’ve been a straight A student, and that’s thanks a superb school and to all the amazing teachers. 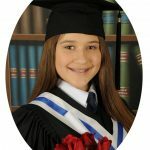 I have been at RoyalCrest Academy for six years, from grade three to grade eight. My next school that I am attending will be CHAT. I honestly feel that my educational journey at RCA has properly prepared me for the next chapter and that makes me excited to graduate. I will never forget my experiences throughout my years here. My time at RoyalCrest Academy has taught me a lot and I am now more than ready for the next chapter. RCA has helped me become more mature and also more academically sound. I would like to thank everyone who helped me through my journey at RCA especially my amazing teachers. It has been a great 10 years! I’ve been attending RoyalCrest Academy since grade 3 and will be going to Stephen Lewis Secondary School. RCA has developed the foundation that will allow me to be successful next year. I will always remember this place and the people I met and will continue on confidently into the next chapter. I was introduced to the school when it first opened in 2004, and witnessing where it started from get to where it is today makes me feel fortunate enough to say that I was granted the opportunity of going to this wonderful establishment. As I grew, I was greeted by new possibilities and adventures to take along the way, making my many years at RoyalCrest a pleasure to experience. To say I wasn't ecstatic at my results when I graduated is an understatement, I was overjoyed! 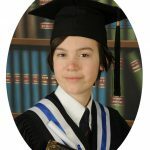 I am currently in my first year of high school, and have both my grade 9 French and Math credits, along with the rest of the knowledge given to me by my previous teachers, principal and director who have guided me along the way of success. This school made me the person I am today, and I would not change my experience here for the world. My children have been attending Royal Crest Academy for three years and will be returning in September 2011. Over the years I’ve witnessed a truly caring, loving, dedicated, and hard working staff which has tremendouly excelled my children’s success both academically and socially. My children’s experiences at Royal Crest Academy has helped them pursue their goals and aspirations. Angel and Nicky love being at school and at age 6 are successfully living their dreams. Thank you Royal Crest Academy for all your hard work! Our 18-month old daughter was at ease and comfortable from the moment she stepped into the RCA building on our first visit to meet Miss P. As first time parents, this was a huge relief. 2 1/2 years later, she is happy, outgoing and loves going to school everyday to see her friends and teachers. The staff at RCA are warm, caring and fun. They truly love teaching and being around children. It shows everyday by the great big hugs my daughter bestows upon them everyday when saying goodbye. All questions or concerns, from anxious first-time parents, are addressed with patience and reassurances. We’re at ease everyday knowing that our child is being looked after by such great teachers. We just want to say thank you for doing a great job running RCA. You and your staff have cultivated a wonderful educational environment. 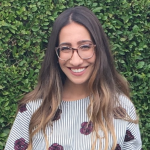 Right from day 1, Melissa has really enjoyed attending RCA, and we are so pleased with Melissa’s progress and the quality of all the teachers and staff we have met at RCA. She has been a superb teacher this year. We would be remiss if we didn’t mention that the communications via email and newsletters are top notch! My son, Ganesh, has attended Royal Crest for about a year . As an mother, I truly believe that Royal Crest Academy has played a major role in preparing him emotionally and socially for that transition. He absolutely loves school and his teachers. Teachers at Royal Crest Academy have shown outstanding comprehension and compassion for Ganesh and it have encouraged him and helped him to move ahead and succeed thus far. Thank-you so much for the time and personal attention you give him. With much love and appreciation. When I was first introduced to Royal Crest Academy I knew it would be “the” school for my 2 year old son. The Academy was the only private facility that truly practiced the same philosophy my wife and I firmly believed in – quiet alertness. They offer a setting that is comfortable and nurturing for children so the children are not stressed. This allowed the dedicated teachers to maximize the learning potential of each child. The professional staff of Royal Crest are loving and warm to my son and this was extremely important for us because it truly is his home away from home. I completely trust the teachers and have noticed that they also want the best for each child. My son is exposed to lessons that are beyond my expectations and being 3 years old now, he is learning the kindergarten curriculum. He is lovingly encouraged to practice his manners and has become a little person that I can see is being “educated for a lifetime of success”! It is comforting to know that he is being socialized in a community with children of parents who also expect the same for their kids during these crucial formative years. 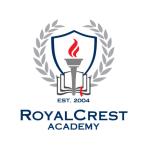 Thank you, Royal Crest, for your constant improvements to better the Academy and continue the great work and high level of service! 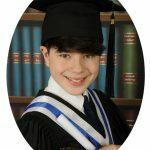 My husband and I would like to thank the teachers at RoyalCrest Academy, for their kindness, and encouragement to our son. From the moment Ethan was registered, it was evident that your basis of education starts with caring. When Ethan began in November 2004 you were quick to welcome him into the class, and make him feel included in the activities and daily school life. He couldn’t stop talking about his teachers and friends; and missed everyone dearly over the summer. We knew that it was going to be increasingly important for Ethan to learn the basic skills, and maintain the knowledge he developed during preschool. 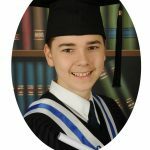 We felt he would get lost within the Public School System, plus, with everything he had already learned it showed us that he needed to be at RoyalCrest in Junior Kindergarten. As a parent I am amazed at his progress, and enthusiasm towards learning. We knew he loved sports, but with your help, he has grown to love French, Art, and Music. With your focus on these areas it has opened a new experience for our whole family. Thank-you for caring, and thank you for treating my child with respect. We look forward to another year of fun, and education! As parents we all want our children to be nurtured as they take their first steps towards building a strong foundation for their education. Every school has a vision, but the question is do they live it, breath it and practice it. I found at Royal Crest Academy the teachers are passionate about what they do & work in partnership with the parents to keep the communication path open. I have seen a tremendous difference in my daughter from the first day in Preschool to end of the year. Her confidence, skills and knowledge had expanded so much its unbelievable! RoyalCrest has an excellent program that focuses on each individual child’s needs. Every child has a different strength & weakness, in which the school programs are flexible to meet the child’s needs. There are many wonderful schools in the city of Vaughan, I found that Royal Crest Academy lives and breathes their vision to set our children on the right path for success. It is seldom that one can find incredible staff complementing a warm and trusting environment and implementing the highest level of education, organization and discipline; all under one roof. I have found this at Royal Crest Academy. Thank you for making my 2 sons’ early educational experiences so positive and complete. As parents we found RoyalCrest Academy to be one of a kind. After searching numerous different schools we knew instantly that this was the one for our family. With small class sizes and extremely qualified teachers, each student receives the attention they need. They are all loved as individuals and encouraged to be the best that they can be both academically and physically. The abundance of attention they receive and the daily feedback we receive regarding their day is just two of the many aspects we love as parents. Our children both have progressed so much since they’ve started at RoyalCrest that not only we as parents notice, but our family and friends continue to compliment. Our son has been a part of RoyalCrest Academy since its inception and our daughter is now in her 3rd year. We have always been thrilled to say the least of the Academy’s curriculum and nurturing teaching environment. The small class sizes have allowed our children to blossom scholastically and emotionally. We are excited about the Academy’s permanent site and all its hopes and dreams. 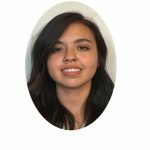 This is my 5th school year as a teacher at RoyalCrest Academy. 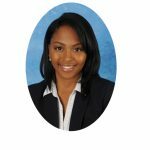 I have had 7+ years of teaching experience within the private sector. Within my teaching experience, I have seen schools that are inadequate in terms of classroom resources, educational support, quality educators, and most of all a caring and supportive community. It did not take long for me to realize that RoyalCrest Academy is so much more than a school but a unique culture that I now feel apart of. The educators at RoyalCrest Academy not only support one another but are consistently immersed in professional development seminars to ensure up-to-date quality education is being delivered. 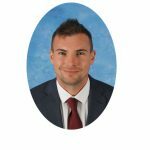 I look forward to growing and further developing with RoyalCrest Academy where I am honoured to be called staff and would not hesitate recommending this school to anyone! I am beyond ecstatic to upgrade to our new location at 9600 Bathurst Street - it is literally everything you hope for, not just as an educator but for current and prospective students. September 2018, can not come soon enough! This will be my 6th year teaching at RCA and my 10th year working in the Education field. I have worked with students between the ages of 5 to 30 as well both the private and public sector. It is said with sincere honesty that working here has been a absolute pleasure and have received constant support from Mrs. Johnson. Never before have I worked at a school where students join mid-year and have zero issues with regards to making new friends and succeeding academically. Both the staff and administration work hard to ensure that students achieve their best. I have had the opportunity to grow as a professional at RCA and look forward to being a part of the school community for years to come. I love working at RCA because art is my passion and I love that I get to teach students art and make it a fun experience for them. I love working at RCA because it allows me to express my appreciation and value for education. RoyalCrest Academy is an amazing place for self-growth and every day is a wonderful learning experience. My greatest experience while working at RCA has been watching the academic and social growth of students throughout my 5 years’ experience. The parents, students and staff have all become family to me and RCA is the place to be! I love working here at RoyalCrest Academy because I am making a difference in the lives of students. 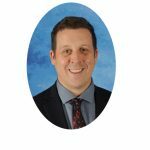 With new technology that must be learned in our fast paced world, we as teachers are contributing to making each student's future one that is bright, and molding our youth into good citizens of the world, and that in itself is something special.